What to do during the week? Well, blogTO had great post yesterday, distilling down the Toronto events for us. And as a few have noticed, it is a bit of a task reading between the 15 or so Mill Street wine and cheese events per night. But while the usual suspects are putting on some great events i.e. Mill Street, Amsterdam, Muskoka, Steam Whistle and Great Lakes (and yes, all amazing local breweries who deserve their success and are worthy celebrating), my personal aspiration for this week is to experience as much diversity as I can; whether it be new, unique or just otherwise less available beers. Really, I’d love to experience what the entire province has to offer, but, alas, I am limited to Toronto events. Granite Brewery, the pride of Halifax, has also been around in Toronto for 20 years. Perhaps the Eglington location has left it out of mind to some downtowners, but I would recommend any excuse to get out and try the great offerings of Granite. Especially the Peculiar. Oh, and you get a free glass if you bring Dad. Oh boy, not exactly a true “pan” Ontario effort, but good enough. 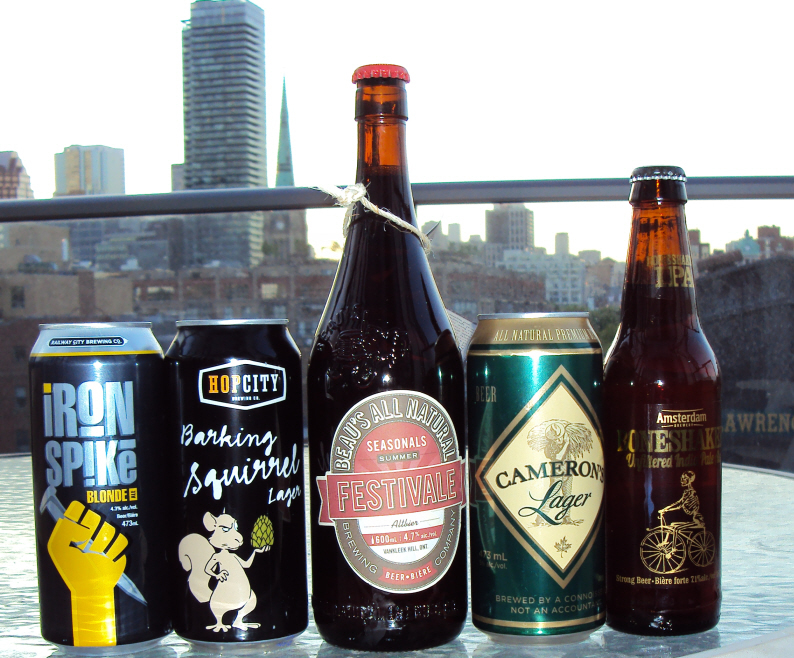 Very interested to try out this collaboration beer from some of Ontario`s best. What are the chances that people who work in breweries are also good musicians? Probably a decent shot actually. But either way, four great breweries are represented; the latter two of which, I do not get to enjoy enough. And, of course, its at the Only Cafe, so I suspect there will be lots more as well. Should be a good time no matter what. Leave it to the hippy themed Barrie brewers to invoke the 99%. Flying Monkeys will occupy the taps at one of Toronto’s top beer bars, making a number of special beers. Can’t wait. When: Saturday, June 23: 12 – 9 p.m. Session 99, an event offering over 100 craft beers for one all-in price. You pick one of two sessions and only get a few hours – so this will be the event for the serial taster. Honorable mention: Cameron`s Brewery – Seafood event at the Toronto Zoo, Thursday, June 21. I know I won`t make it, but I wish I would. Of course, there are plenty of amazing events I have left out. And by no means do I suggest ignoring what many of the larger local craft brewers are doing this week. So I think it is worth taking the time to head over to the OCB event listing and see what’s happening in your region. And remember: The week is about celebrating the great beer this province has to offer, and basking in the glory that is the craft beer boom era that we now live in. Yep, I`ll drink plenty to that.